If you’ve been following Chickadee Says for a while you might know that I adore yoga- to the point that I can now teach it (yay!). I have a running list of items I come across that are yoga related and that I would love to have as part of my practice (or my wardrobe) so I thought I would share some of my list to give you a bit of inspiration for the yoga lover in your life (even if it is you!) 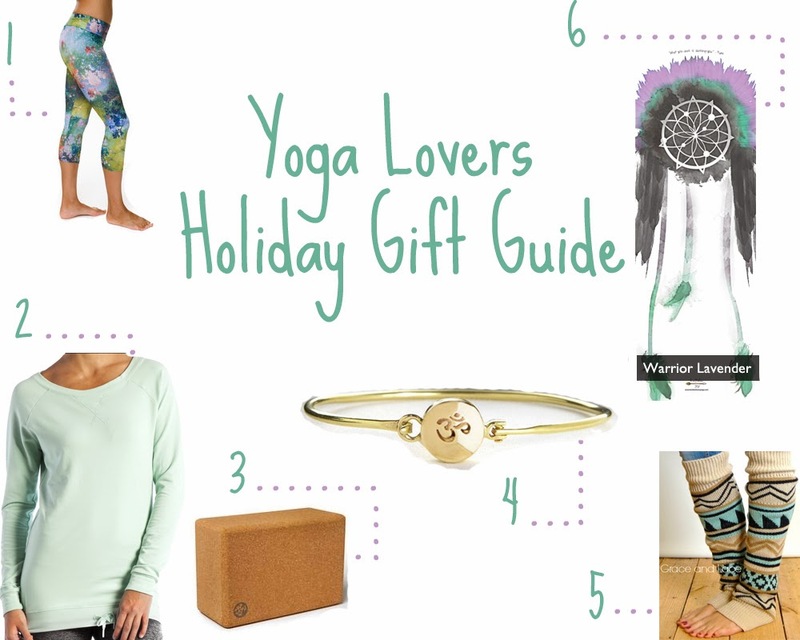 From practical yoga blocks, to fabulous absurd yoga pants there’s something on this list for every kind of yogi! Onzie is known for their super fun prints. I feel like most of the ridiculous pants on Instagram that I see and love end up being Onzie. This would be a fun gift for someone who is longing for a pair of capris to spice up their practice! I love the ‘Timeless Tunic’ from Ellie. I am constantly freezing on the way to yoga and a pullover like this would be perfect to wear while rocking out a few sun salutations during a warmup! I am not a fan of normal yoga blocks. They are supposed to help you be supported but often the squishy ones just make me feel more unbalanced. These Manduka cork block are both firm, which is great for balance, and sustainable, which is great for our earth! This dainty little bracelet stamped with the Om symbol, would be a perfect little addition to any yogi’s jewelry collection. These bracelets are also are handmade and made from recycled brass! Once again, the freezing-on-the-way-to-yoga-class comes up. I am the kind of person that wears capris to every class; (unless it’s hot yoga- then I’m rocking booty shorts) so when it is winter, I’m COLD. Handmade leg warmers are a perfect addition to any outfit that needs to cover the space between where your capris end and your shoes start! These yoga mats are beautiful. I love all of their prints, you just can’t go wrong! Please note that some of these links are affiliate links. This post was not sponsored, all opinions are my own. Thanks for the useful information. Your article is beneficial for us and those who are searching for yoga stuff.